The history concerning the church and the vicarage can be traced back to the times of the Hussite wars in 1437. It can be assumed though that it existed at the end of the 14th century when in 1397 Zlín was elevated to town status by the Šternberks, the church was already there and next to it also a vicarage which was endowed with spiritual administration. As of 1446 the name of the Zlín vicar Jan z Ostraty (sometimes also called Jan ze Lhoty) can be found in the records. The church burned down twice – in 1819 and in 1849, both times it was restored though. Now it is one of the dominating features of the town. Unlike the baroque appearance it has currently a wider and higher nave, the windows have been donated by Zlín parishioners. In the belfry there are steel bells made in Vítkovice as well as the organ made by the Rieger brothers from Krnov. In the years between 1969 and 1970 a reconstruction of the interior was carried out. The evangelical church is considered to be one of the most significant sacral buildings of Czechoslovak architecture between the wars. With its well-balanced proportions and functionalistic simplicity, it perfectly corresponds with Bata´s architecture in Zlín. The church was built with a lot of financial support from the Bata company- it donated half the price of the land and the construction of the church was at the company´s own expanse. The architect was Vladimír Karfík. 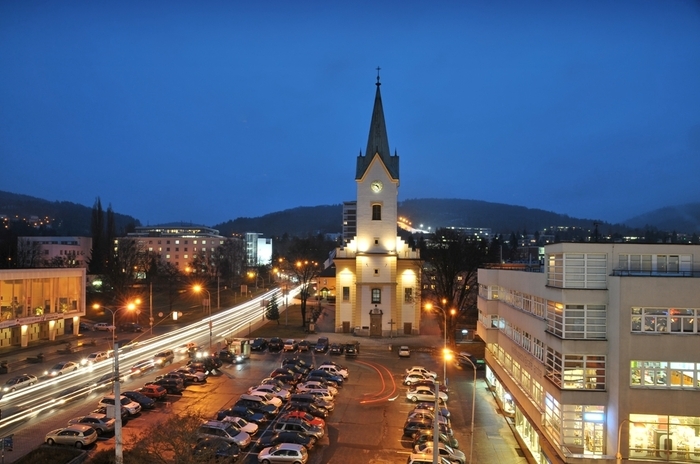 The church of Mary Help of Christians is the newest church in Zlín. It can be found in the middle of the housing estate in Jižní Svahy. The construction of the church and youth centre was started by the celebration dig on day devoted to the saint Jan Bosek on 31st January 2000. The church was blessed on 8th May 2003. The whole premises contain the church with 350 seating places, parish facilities, accommodation for the members of the Salesian community, clubroom, classroom or parish room and other premises. Another part of the premises is also a large playground with high quality tarmac that forms part of the youth centre. 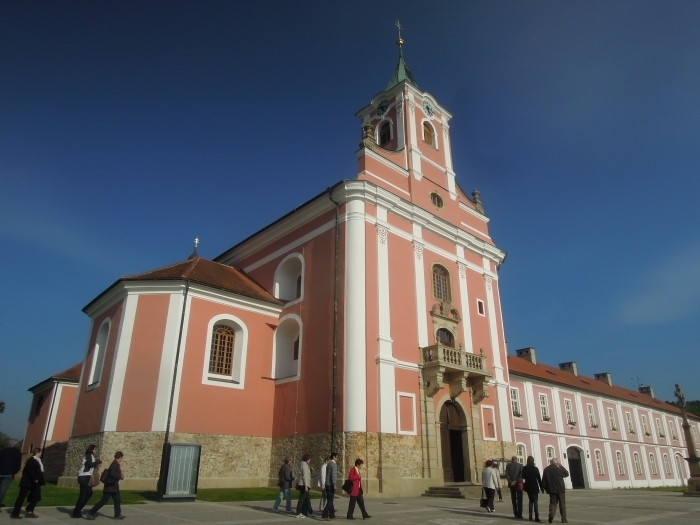 The baroque church of the Nativity of the Blessed Virgin Mary was established in the 18th century and is the Marian pilgrimage destination. It is the biggest and most beautiful temple in the area. The organ in Štíp belongs to the biggest and best quality preserved works of František Čapek and Max Zachistal from Kremž. The temple is always open half an hour before the service and approximately 15 minutes to a half hour after the service (the current services can be found here), or a private service can be arranged. From 1. 5. to 30. 9., that is in the time of so called „open doors", it is opened daily apart from Mondays from 10:00 am to 5:00 pm, on Sundays from 1:00pm do 5:00pm. 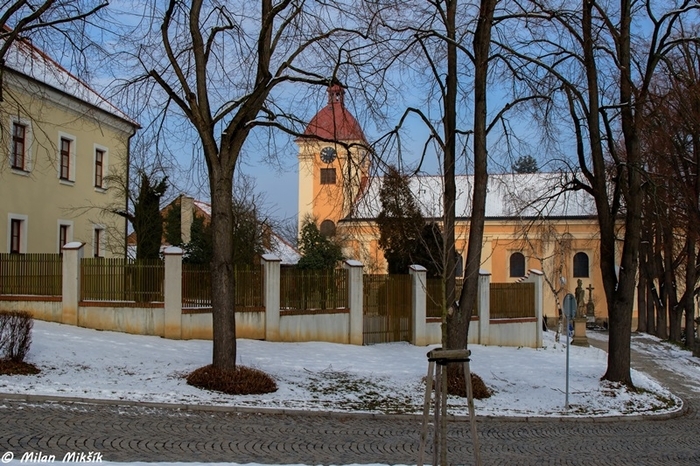 The church of Saint Nicolas in the local part Malenovice is a roman-catholic parish church that has been in existence since 1845. It is standing on the spot of the former gothic church that was documented in writing as far back as1386. Some of the monuments have been preserved since then such as the altar pictures and the oldest monuments – a grave stone of Tetour from Tetov, the lord of Malenovice and Pohořelice. The gravestone is dated 1560. The inscription is still very legible. Since 1958 the church has been listed as a culture heritage site of the Czech Republic. Source of the photograph and text: The parish of Malenovice (Farnost Malenovice).